Our Friends at Gone For a Run HERE know that I have a LITTLE Race coming up and may be a BIT DISTRACTED this week. Perfect time to host a GIVEAWAY!!! Haven't heard of Gone For a Run?? 'Gone for a Run' .....for a runner these 4 simple words transport us to a realm like no other. It's a place of solitude and companionship, clear thinking and no thinking, pleasure and pain, goals and dreams..... as we challenge our bodies and ourselves. Going for a Run is a commitment you make with yourself, it makes us stronger and defines us. 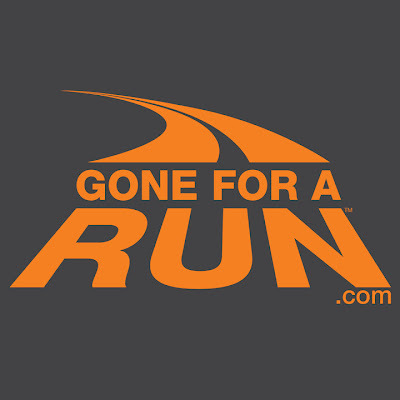 GoneforaRUN.com was created by runners for runners. 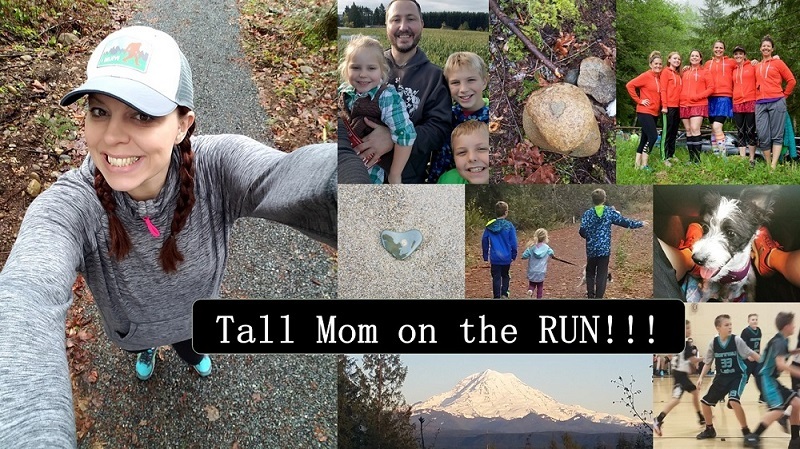 Inspired by a mother and her sons who are die hard road warriors committed to running and always looking for the next challenge whether its a 5K, marathon or ultra. This passion for running led us to the creation of GoneforaRun.com. A site celebrating this great sport with a unique collection of gifts and apparel for runners. Whether it’s a marble coaster you can proudly display and use commemorating your latest race, a 26.2 silver necklace marking a great achievement or a pair of carefully engineered running socks we hope you'll enjoy our ever-growing assortment of running products. Please check back often for we are always racing to find more great new running products. I have a few products from Gone for a Run and I LOVE THEM!! Another Fun product is this WristSTASH by RunTECH HERE. What an easy way to hold your Key, ID, Money and more. Gone for a Run has so many great products there is no way I could cover them all, with options to personalize the only limit is your creativity, you simply have to check they out for yourself..
1- Go to Gone for a Run HERE shop around, come back and leave a comment about which product you would like to BUY. 2- Like Gone for a Run on Facebook HERE post on their page "Tall Mom sent me to Like you" and leave a comment to let me know you did. 3- Follow Gone for a Run on Twitter HERE post on their page "Tall Mom said I should Follow you" and leave a comment to let me know you did. 4- SHARE this giveaway via Blog, Blog sidebar, Facebook, Twitter or tell a friend. Leave a comment each time you share. I love GFAR! SO much to choose from. I would get the sterling silver 13.1 charm to add to my charm bracelet! I would definitely get the wriststash. That stuff is so rough to carry around! following on twitter! : ) thank you for the giveaway, mel! I need something to put all my bibs in...so the bib folios are pretty awesome. I love them! Have them on FB and tell all my friends about them. I would be so happy to get a Bibfolio, it would be a wonderful reminder of all my accomplishments and those still to come! I absolutely LOVE Gone for a Run!! Yeah, thanks for hosting a giveaway! Love everything on their website! I've had my eye on the Runners Creed necklace, as well as the Message Ring/Running Shoe Necklace. I'll share this on teh giveaway tab of my blog. thanks! I would get the sterling silver 13.1 charm to commemorate my 1st half marathon. 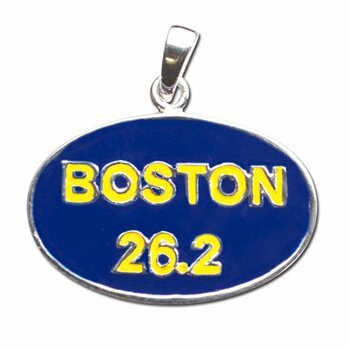 I left the note on Facebook and checked out their page and loved the 26.2 necklace! I'd get the 13.1 fleece sweatpants so I'd have something warm and cozy to put on when I finish my first half next month. ooohhh so much cute stuff. I like their visors - I so need to get one. Since they don't carry knee high socks, I would hit up the arm warmers with runners on them. I'm always cold, so they would sure come in handy. I posted a link to this giveaway on my giveaway side bar. So many things I want--I can't list just one! I really need to get a road I.D. already and the Reflective ID Wristband has a pocket too! I also am coveting the Summertime Julieband. I liked Gone for Run on Facebook! Just tweeted about Gone for a Run! AGH I want one of those wrist stashes!!! I like GFAR on FB and I just posted on their wall! I like the I'd Rather be Running ceramic mug. Now following on Twitter AND I told them you sent me to follow. TWEETED with a link to your giveaway! The site is great! There is so many great items. I like the sunglass holder and the waist belt. I'd get a headband and/or some fun colored socks! I liked the FB account and told them you sent me. I would love that wrist stash! I never know where to hold my keys, etc. Great giveaway. I've been eyeing their products for a while. I love their pewter key rings! And, since I need them I'd probably get some LED NiteBEAMS Arm/Leg bands as well. I'd get the Neoprene Double Running Pouch - Blue. Love the glitter girl running hat in navy - would totally get that! I liked Gone For a Run. I'd get the Neoprene hydration belt. I'd want pink but since I'd share it with my husband, it'd probably be green. Oh, they have sooooo many nice items. I've been looking at the Twisted Leather Bracelet and Adrena Beads. I liked them on FB & left a comment. LOVE their stuff! I think I would have to get a cute tech shirt, ornament, or something else fun. Hard to pick! posted on gone for a runs wall! Liked Gone for a Run on Facebook and commented. Following Gone for a Run on Twitter!!! I love the "Oh the Places You'll Go" Dr. Seuss inspired shirt! ADORABLE! commented on their facebook page! i’ve been wanting a bibfolio for a while! Already like Gone for a run on fb. Left comment telling them you sent me. I like the High Tech sock in pink/gray. I like GFAR on FB and posted a comment on their page. i follow them on twitter and posted. I know like Gone for a Run on Facebook and let then know that Tall Mom sent me. 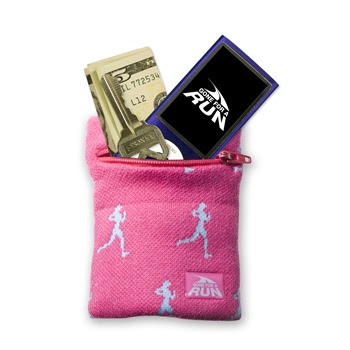 SInce summer is coming soon and I won't have jacket pockets, then I would love a WristSTASH by RunTECHNOLOGY in pink. 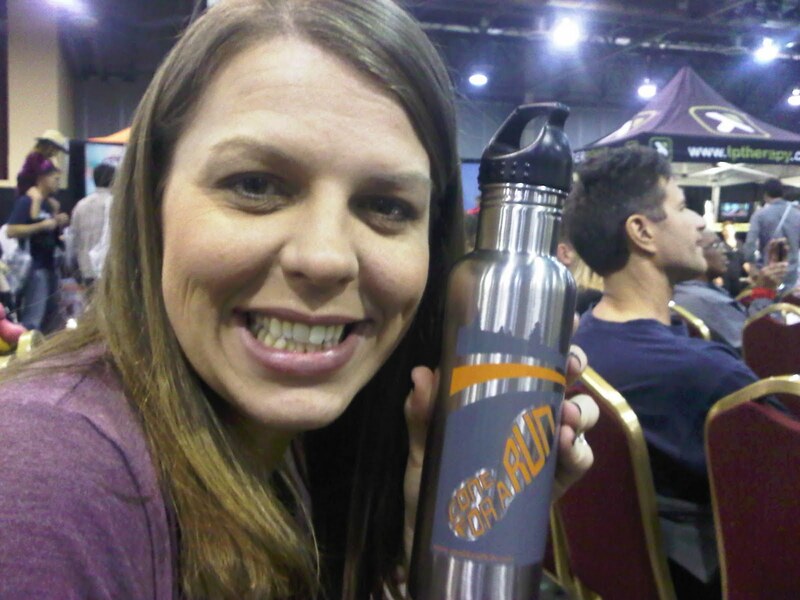 But, I also need a new stainless steel water bottle, so one with my running mantra on it would be cool too! Too many things to chose from! I like the Savannah skirt in Aztec and in Hibiscus, the long sleeve 26.2 shirt, the 26.2 necklace charm in sterling. Way too many things I like. I love all of it!! I checked out the GFAR site and I *need* a BibFolio. They're starting to stack up and I need to put them somewhere safe and organized. They have so many cool products though... I'm bookmarking the site even if I don't win! I shared your giveaway on my blog sidebar. There are so many things I would like to buy from Gone For a Run, but I think the top of my list is a Bibfolio. I follow Gone For a Run on Twitter. 4 - Told you what I'd buy! I would get one of their cool hats with a pocket! I need a new hat. I would love one of the charms - either a running charm or a shoe charm. PS thanks for the sticker! I love GFAR - have several cute items already! If I won, I'd choose one of their t-shirts - not sure which one, because every time I go to look I find several that I adore. i really like the folio for the bibs. i never know what to do with mine! The "run like a rockstar" t-shirt is perfect! thanks! I liked them on Facebook and left a msg. I would get something for Kaden. She keeps asking for a bibfolio. So maybe that. Linked you on the blog! Checked out Gone for a Run, I would get a new Ultra Pocket running hat. Linking your giveaway on my blog sidebar. I would love the Eat Sleep Run Performance Tee! I like the stainless steel water bottles. I like Gone For A Run on Facebook and I told them you sent me. I would totally get a bibfolio! Like GFAR on Facebook already! ALready following GFAR on Twitter! I liked GFAR on FB!